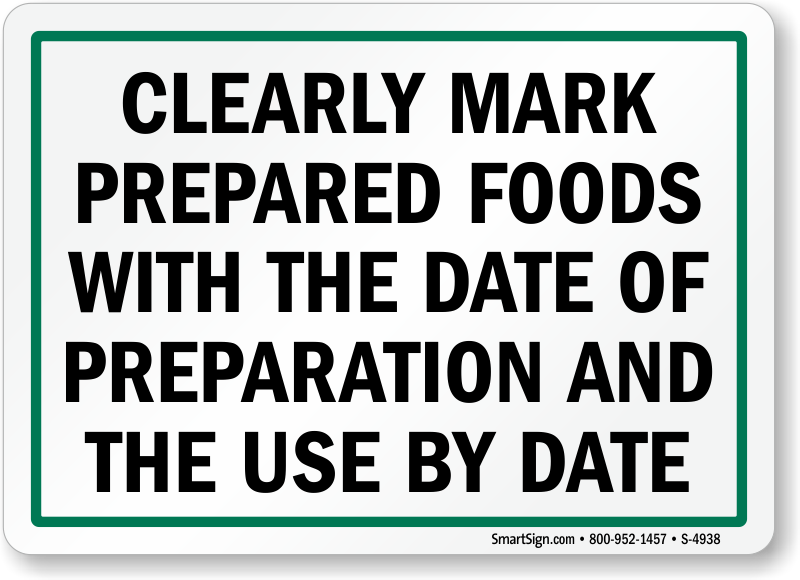 Meals are the most important parts of the day. 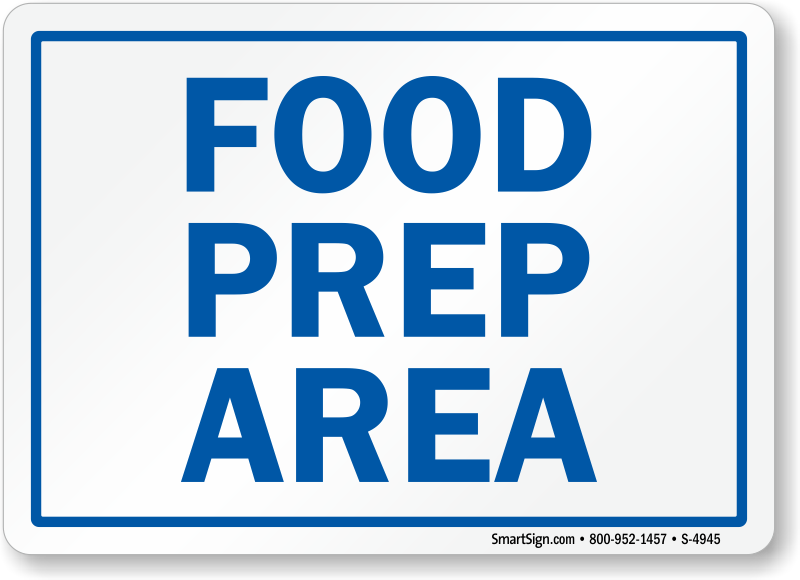 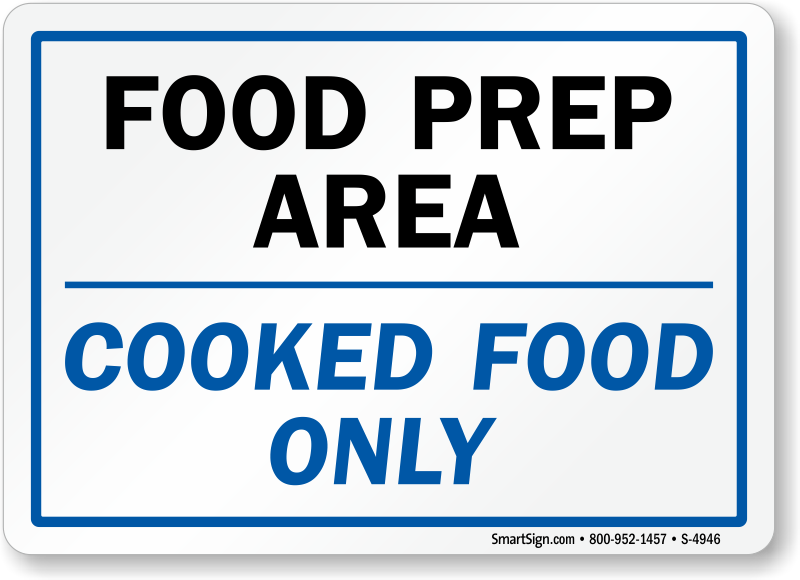 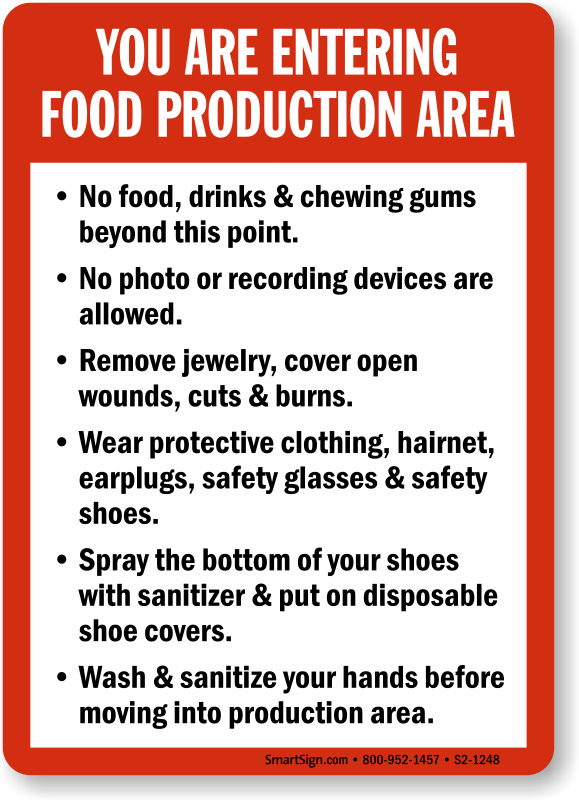 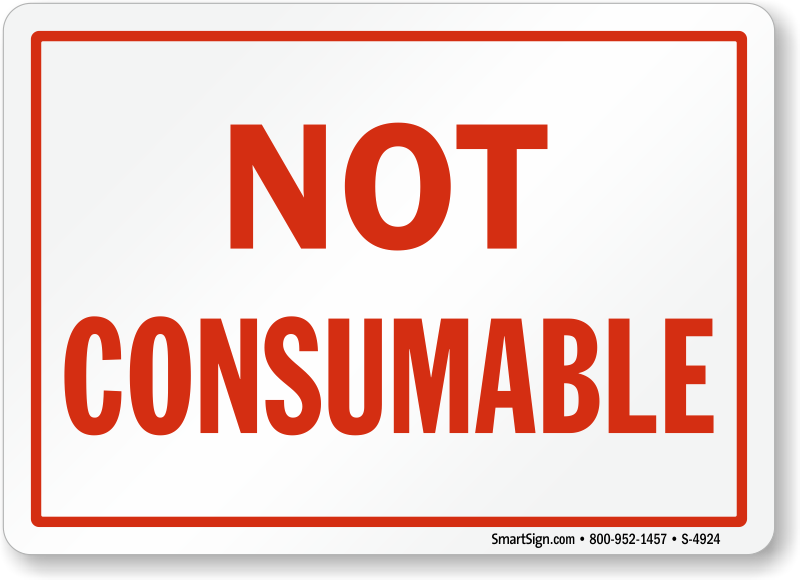 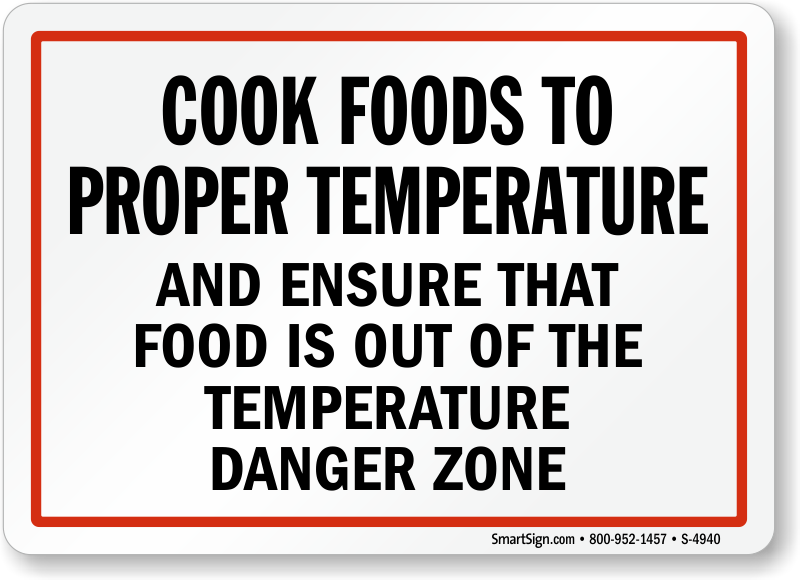 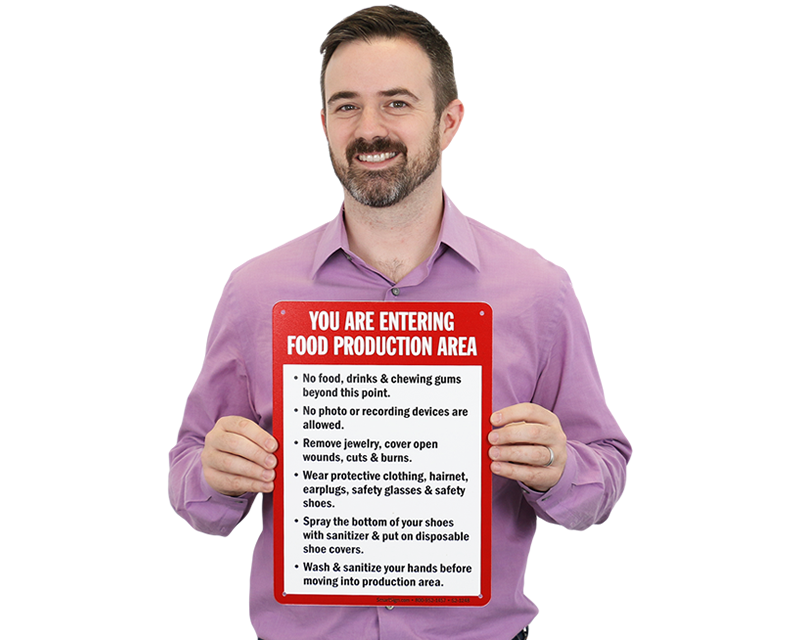 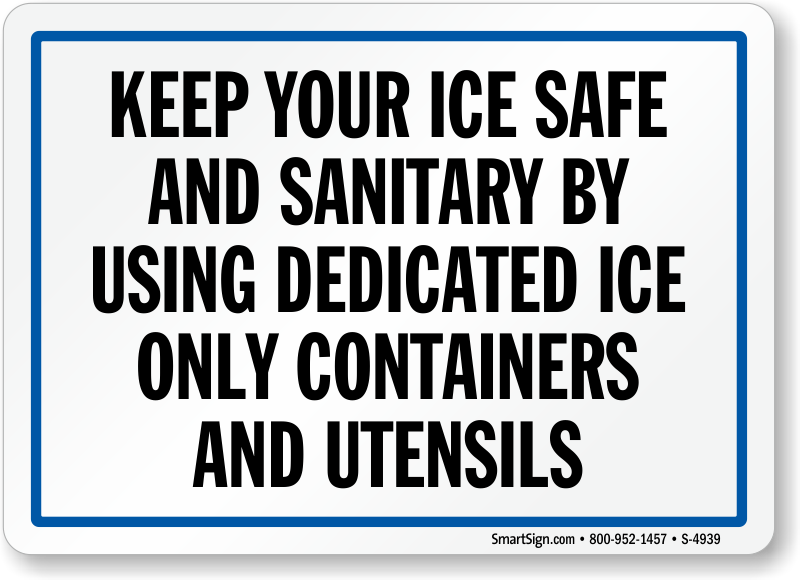 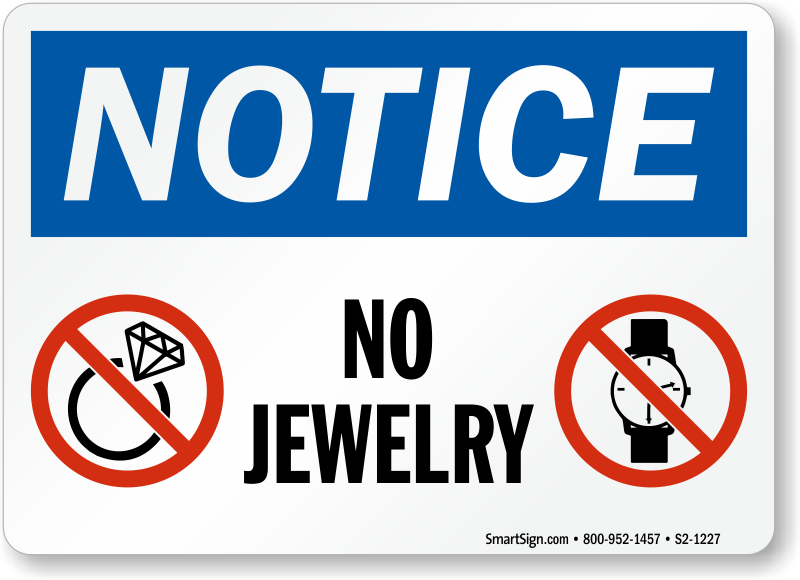 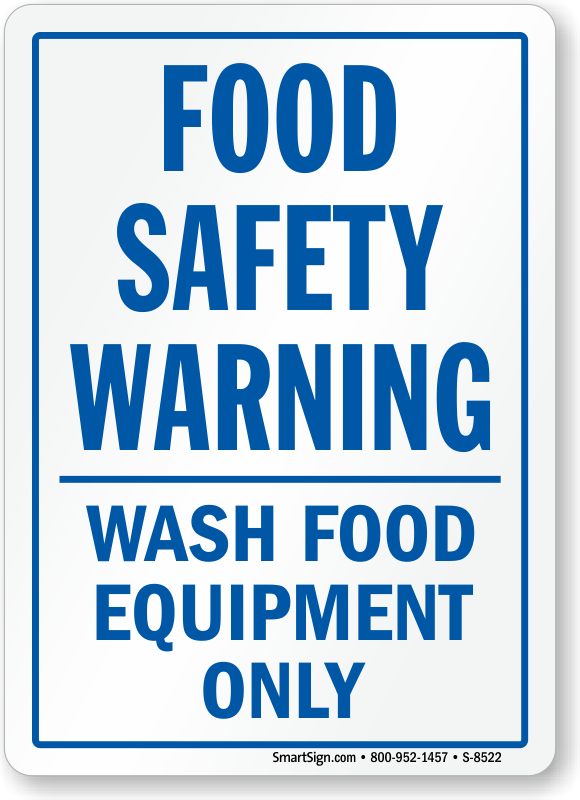 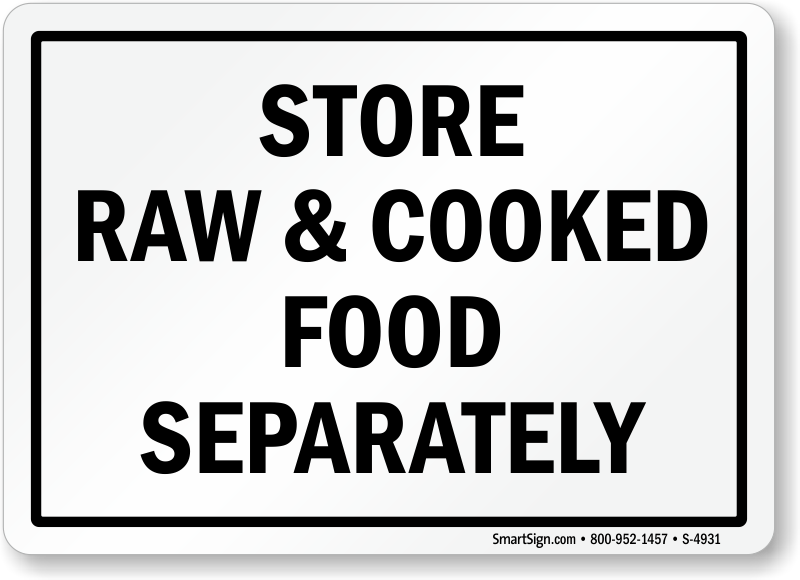 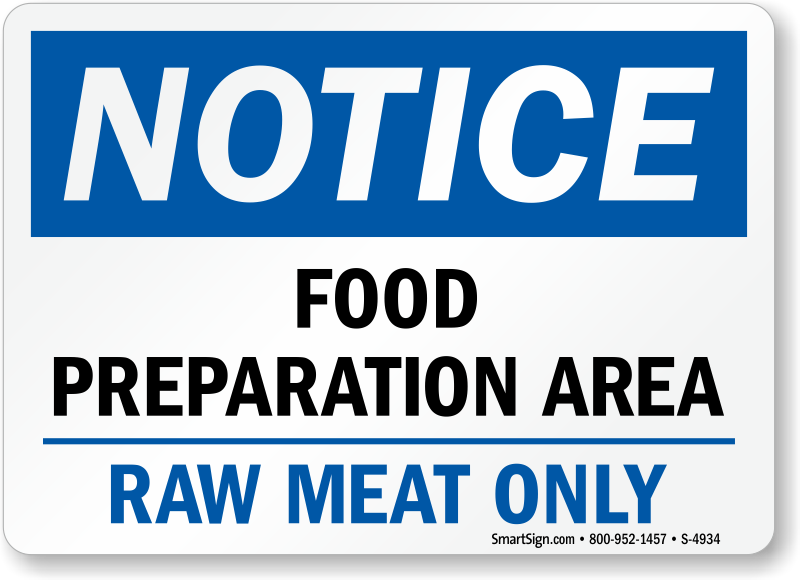 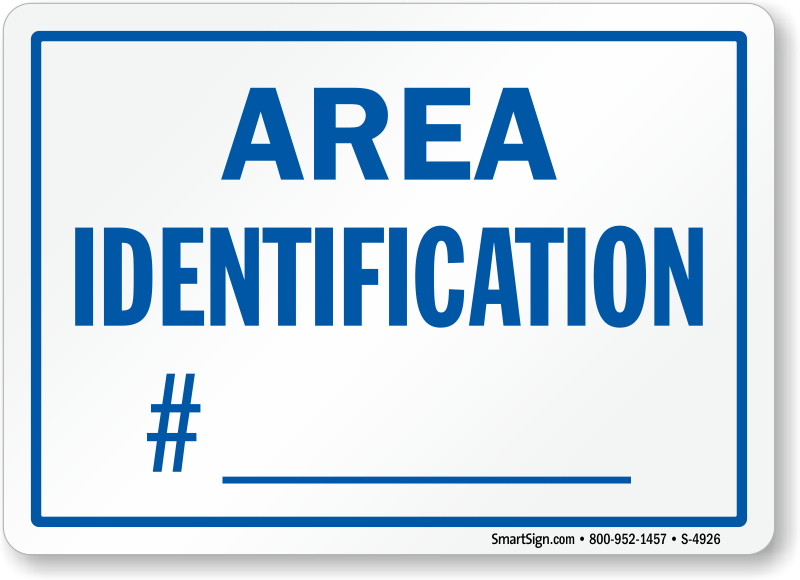 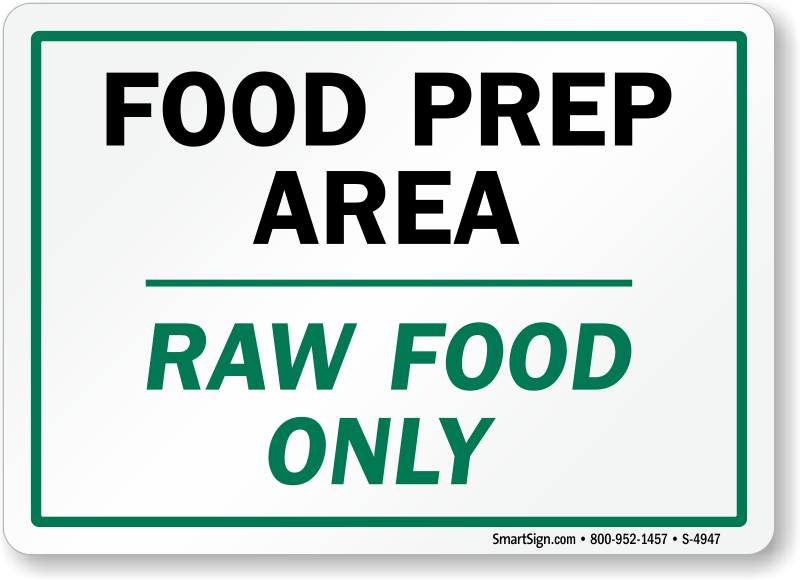 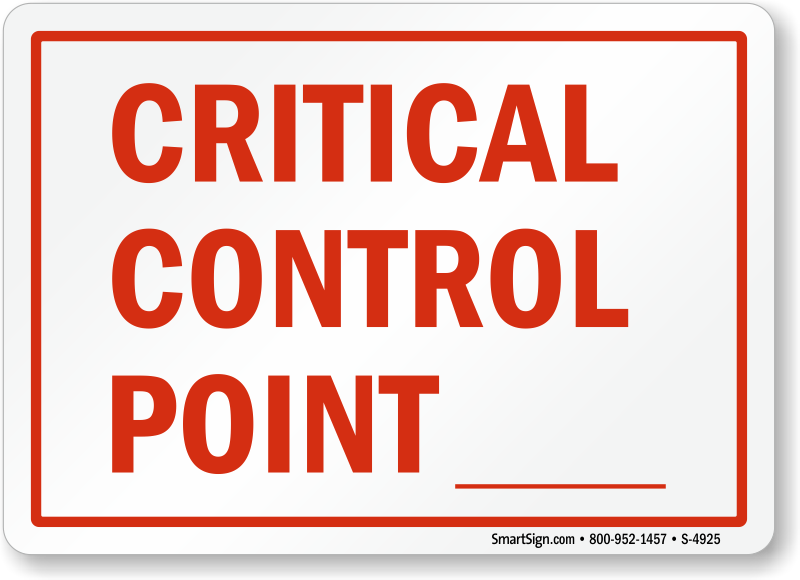 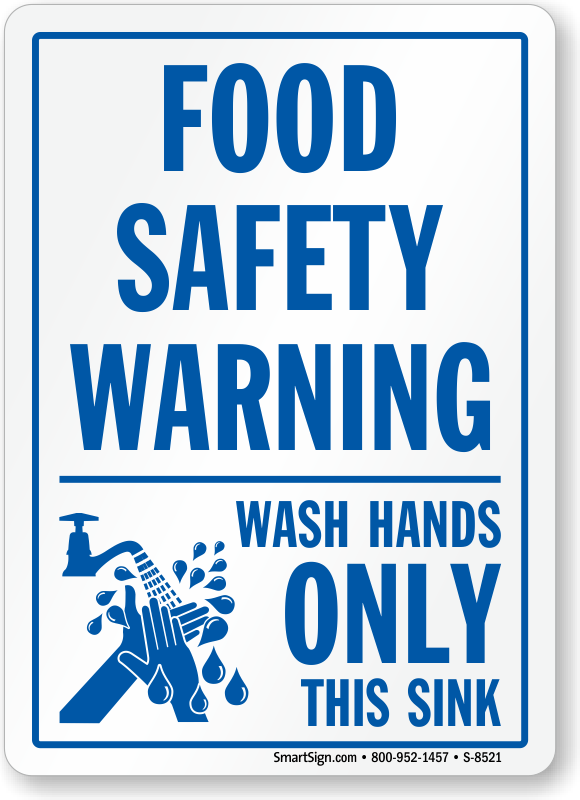 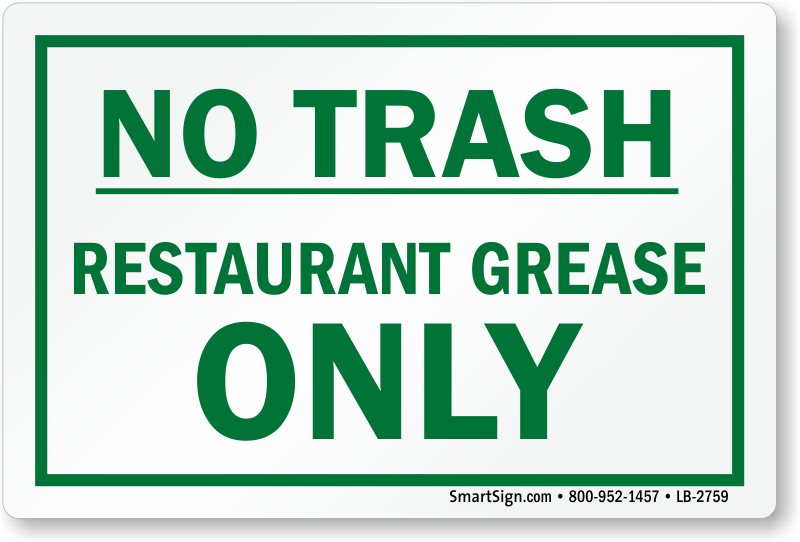 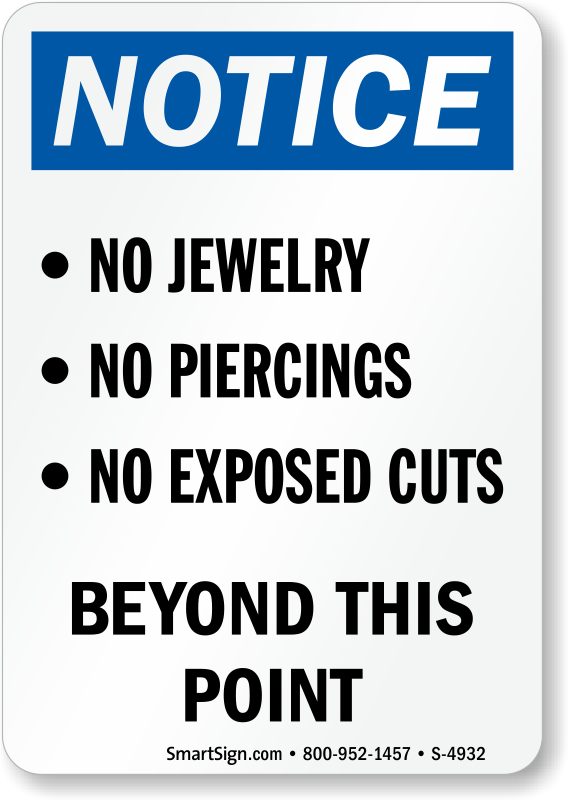 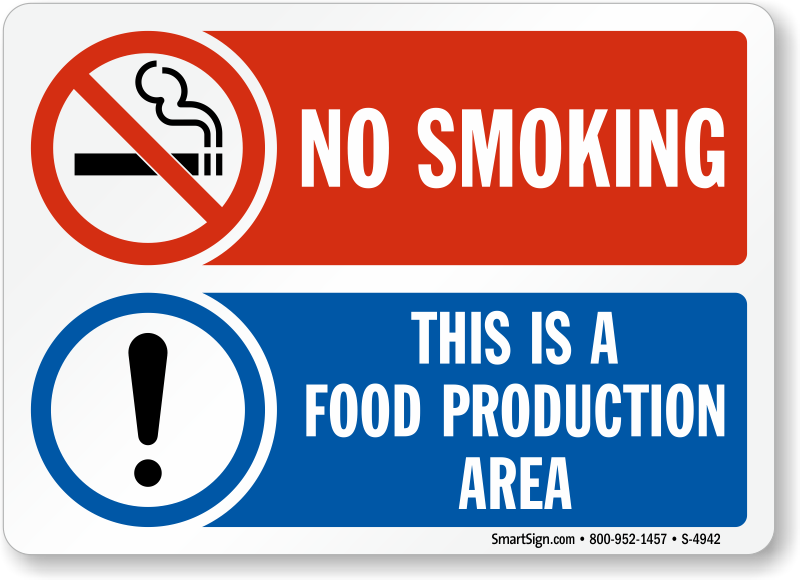 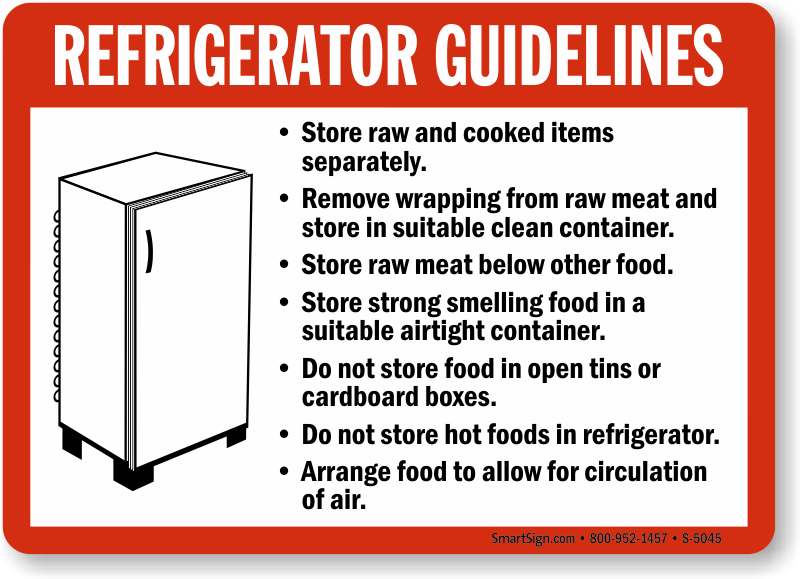 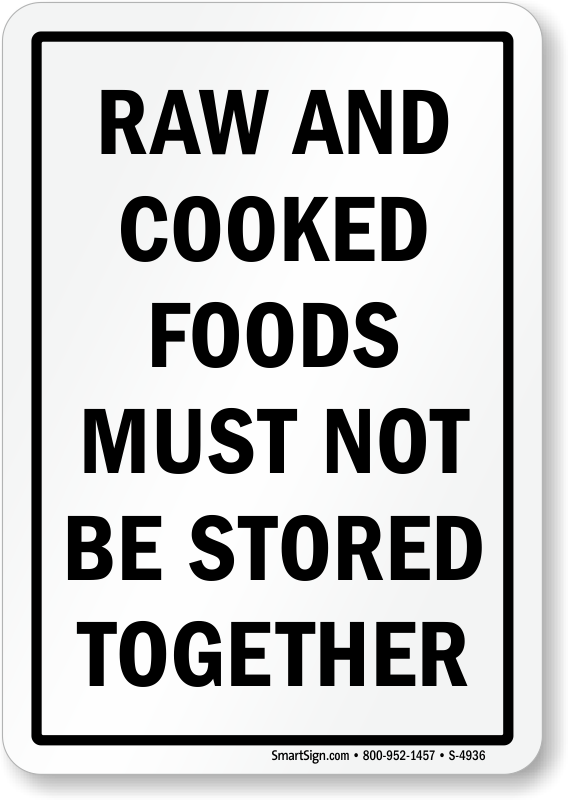 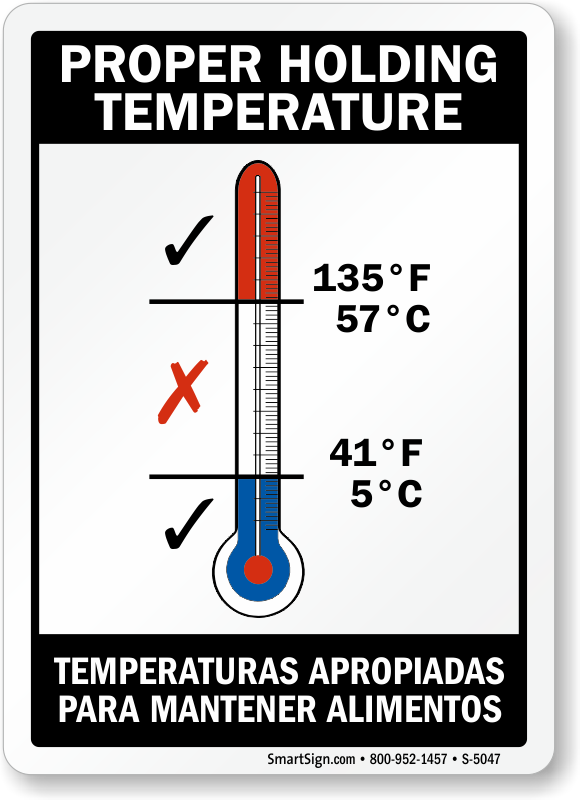 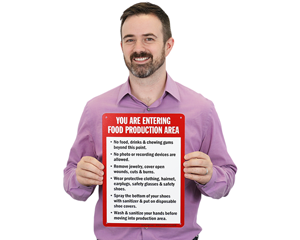 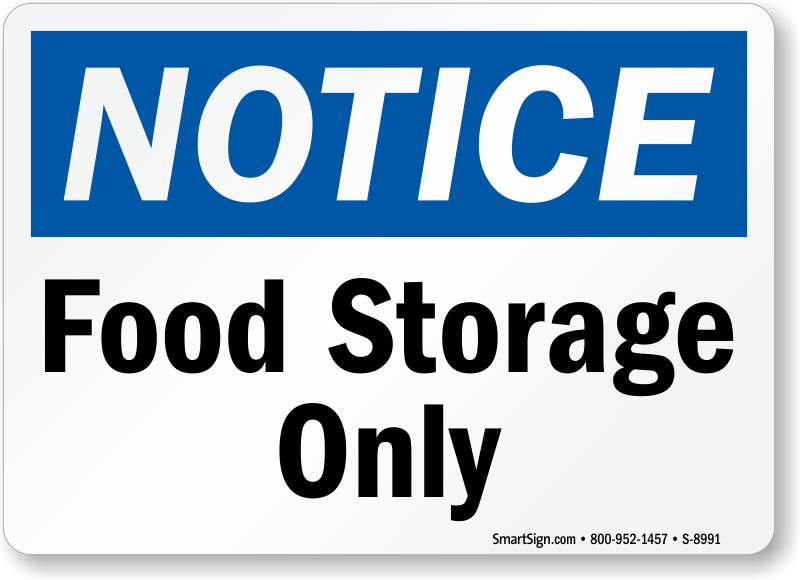 Make sure everyone in the restaurant, cafeteria, or just the office lunch room is keeping everything clean and sanitary with the help of effective food safety signs. 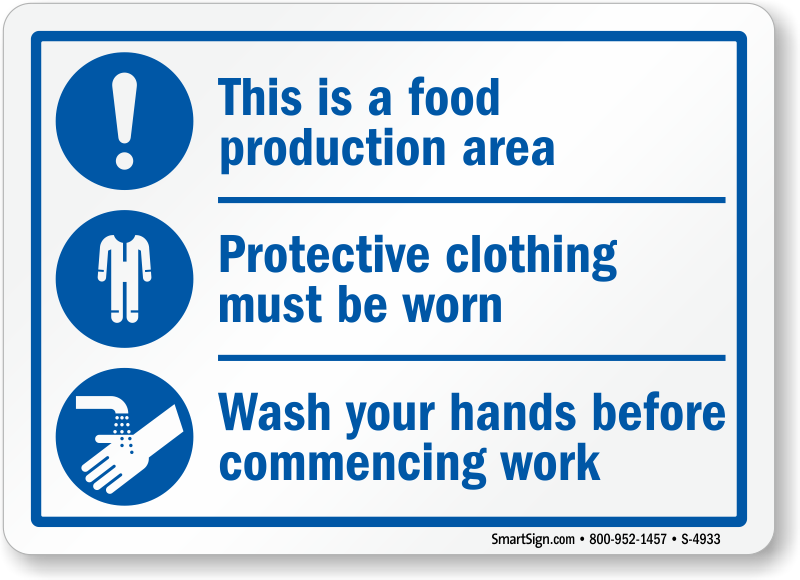 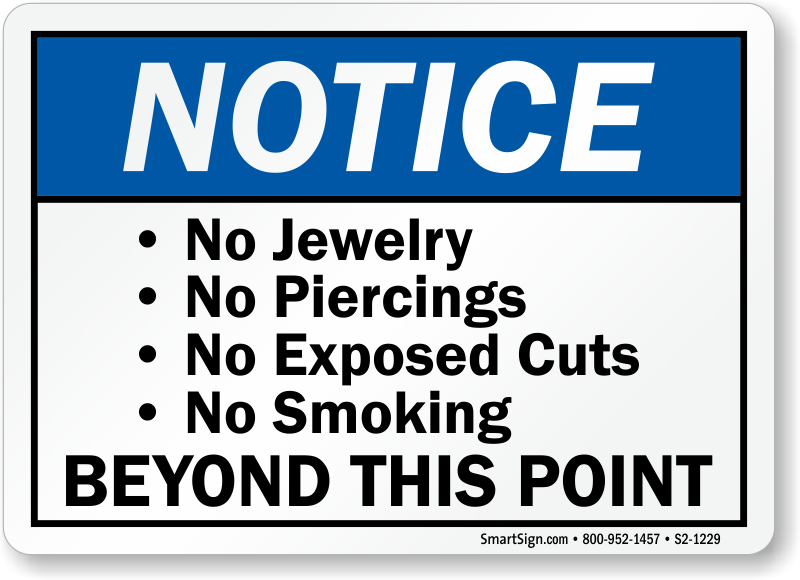 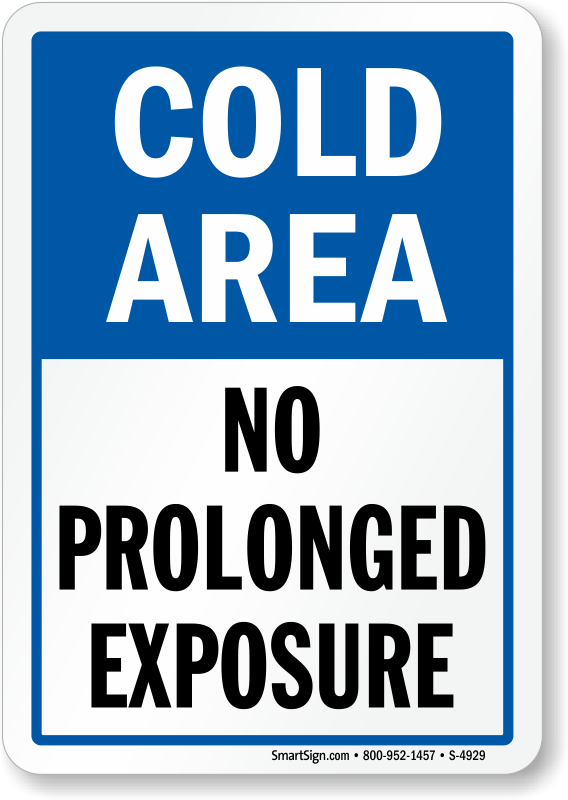 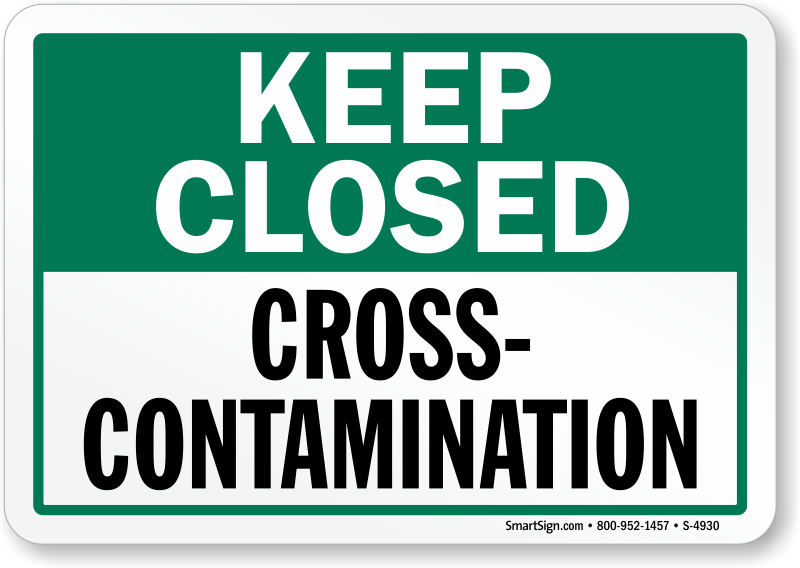 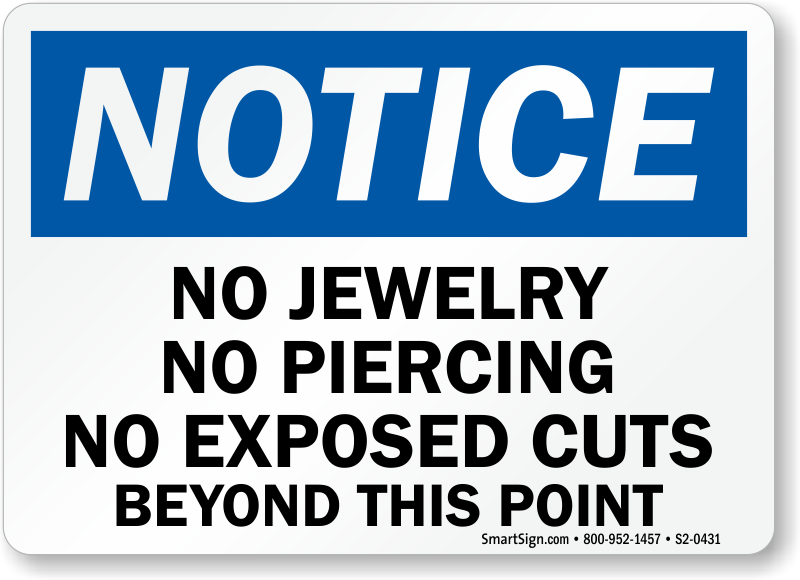 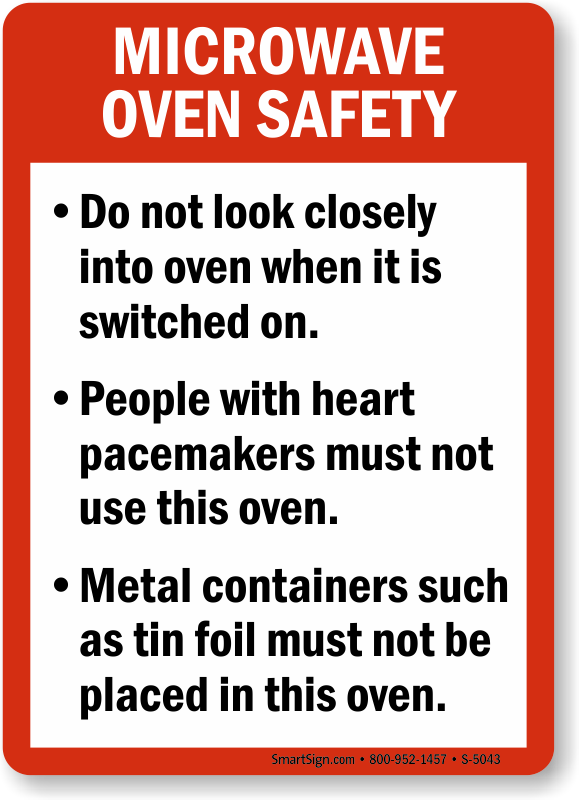 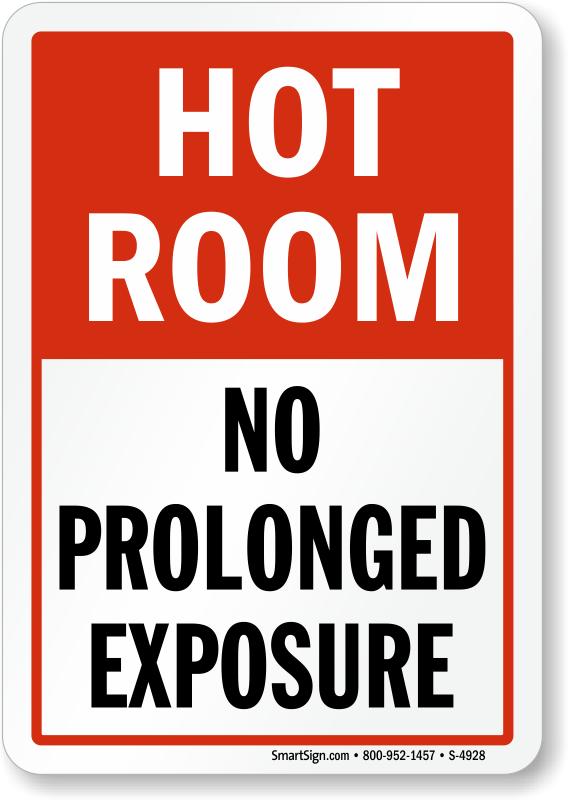 In close quarters, it’s even more important to prevent contamination to keep employees and customers safe. 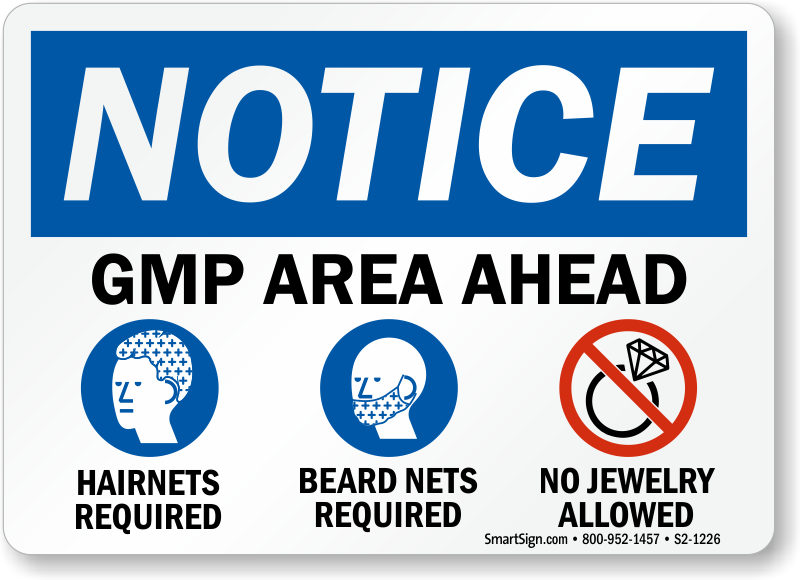 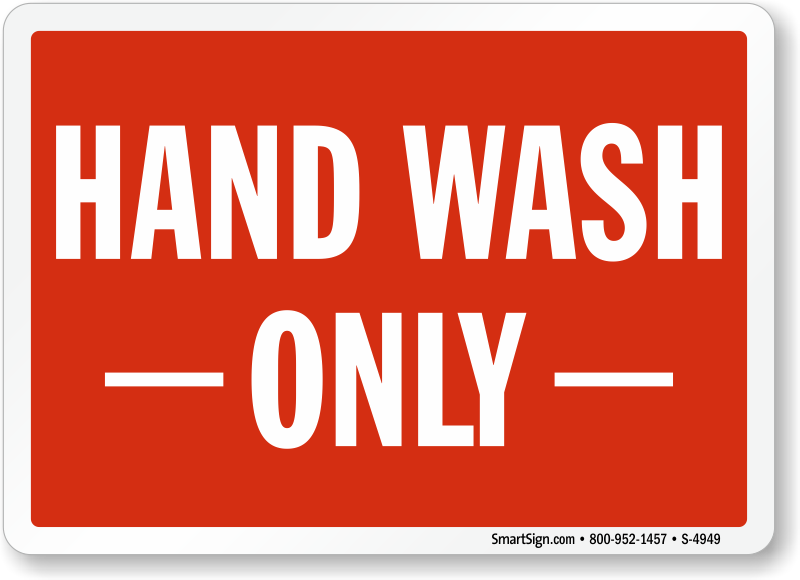 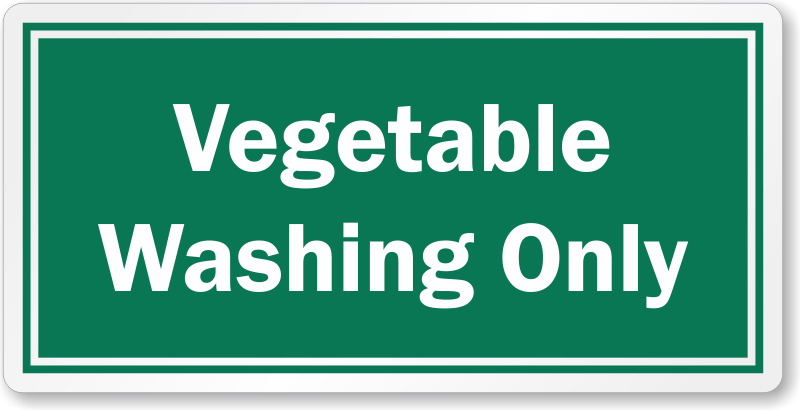 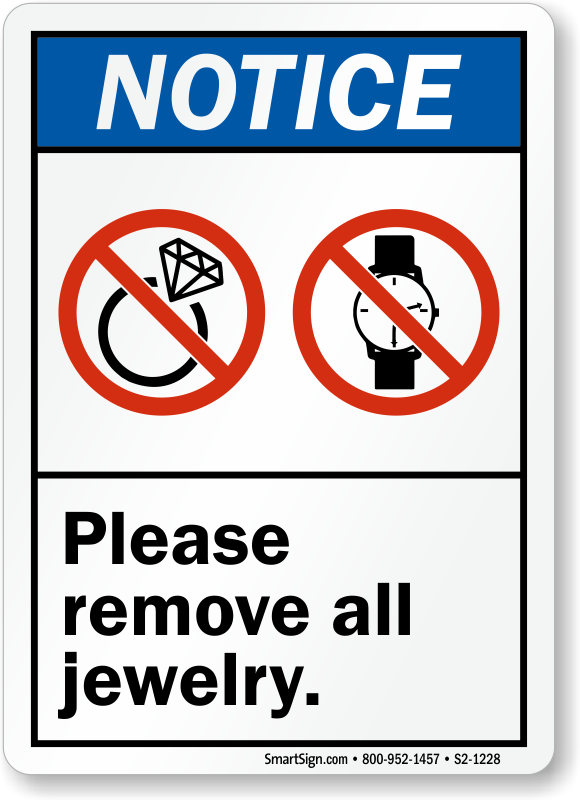 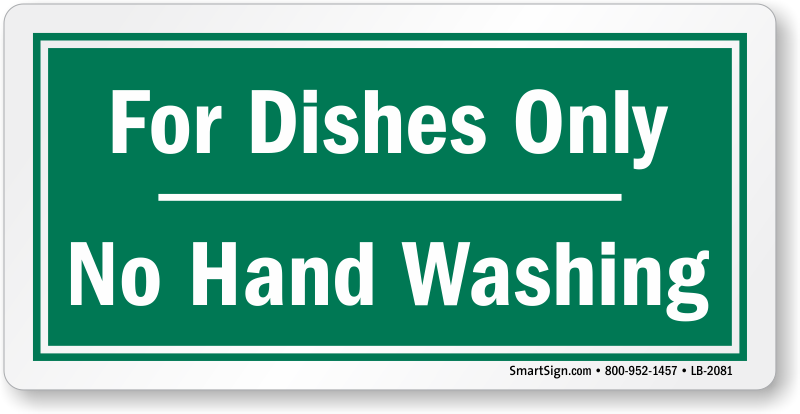 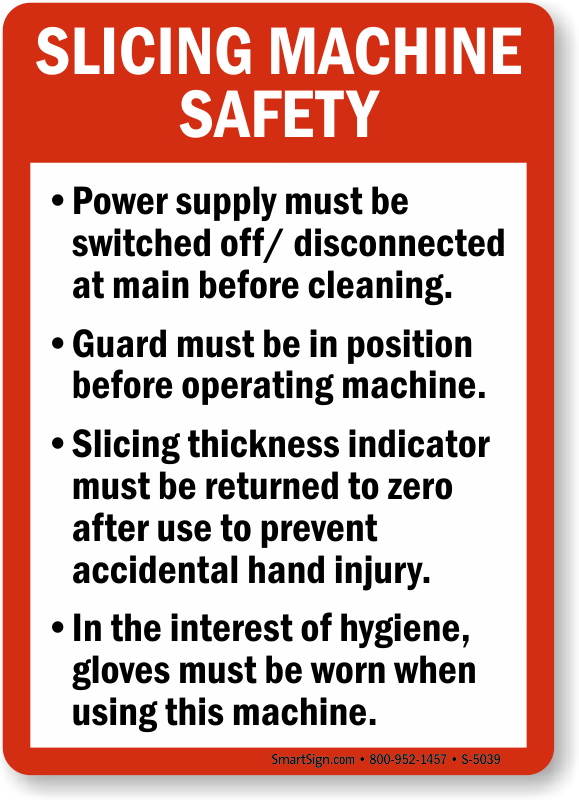 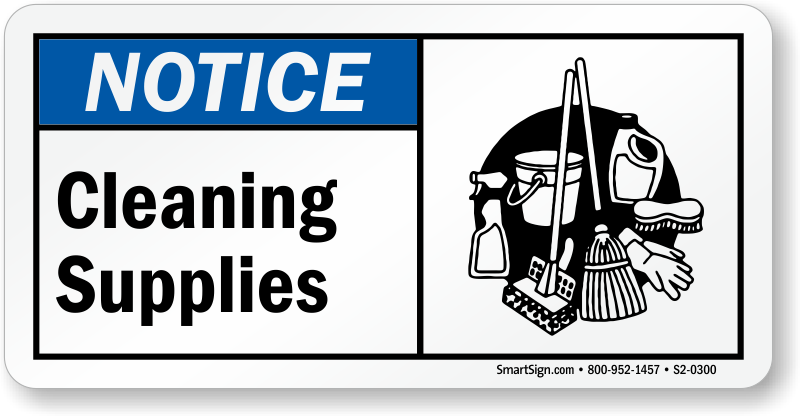 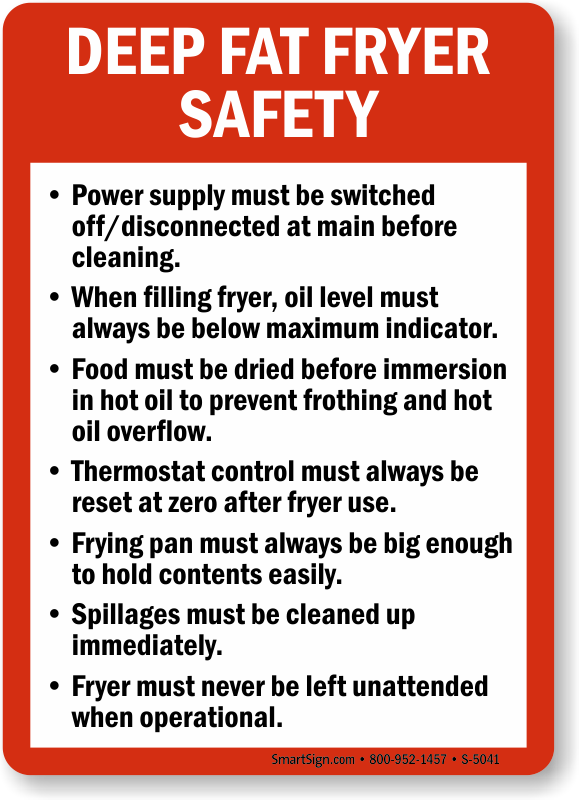 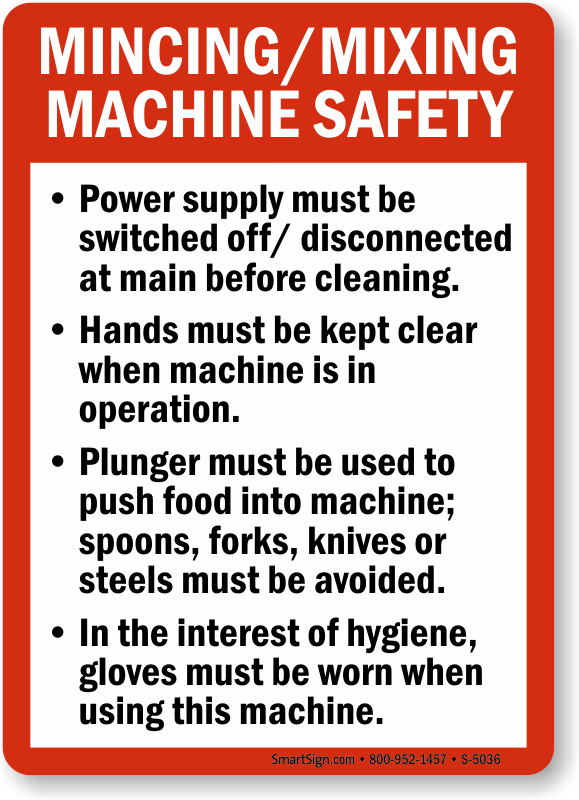 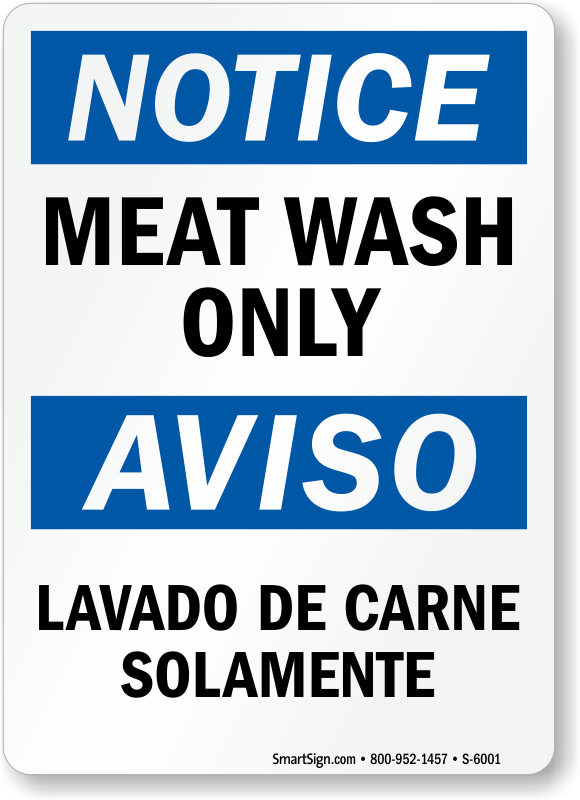 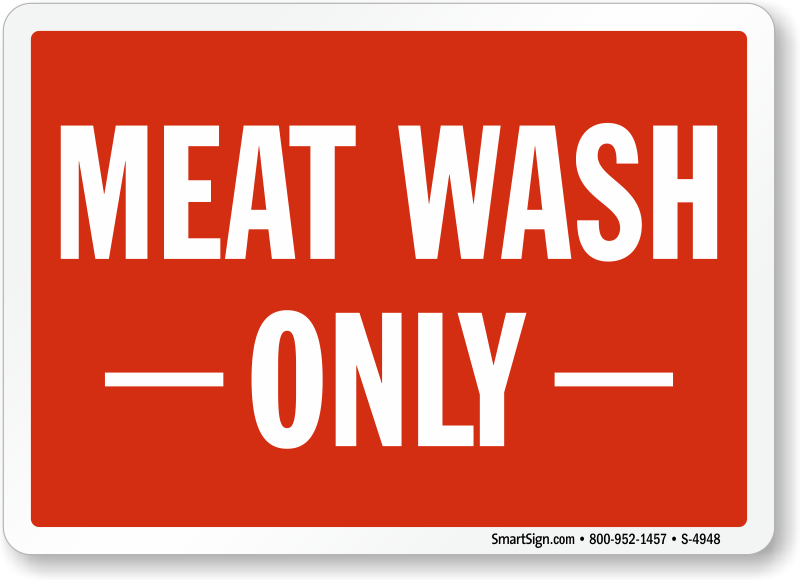 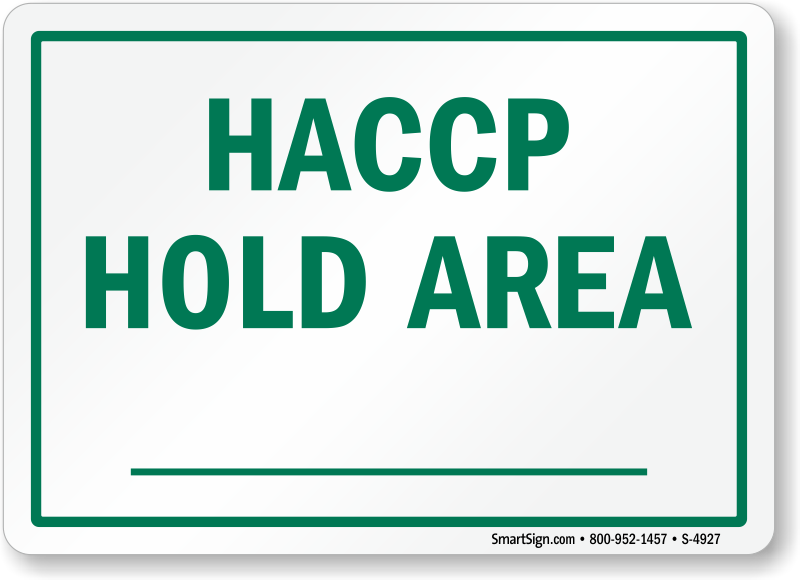 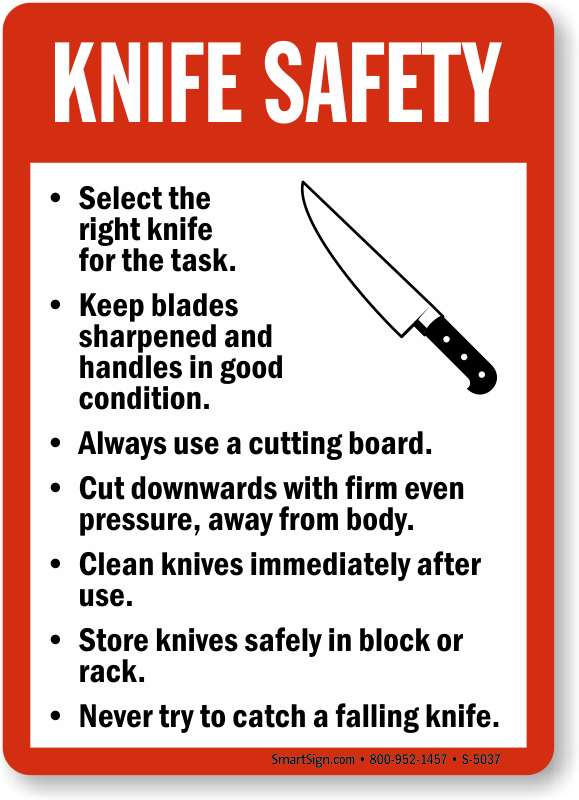 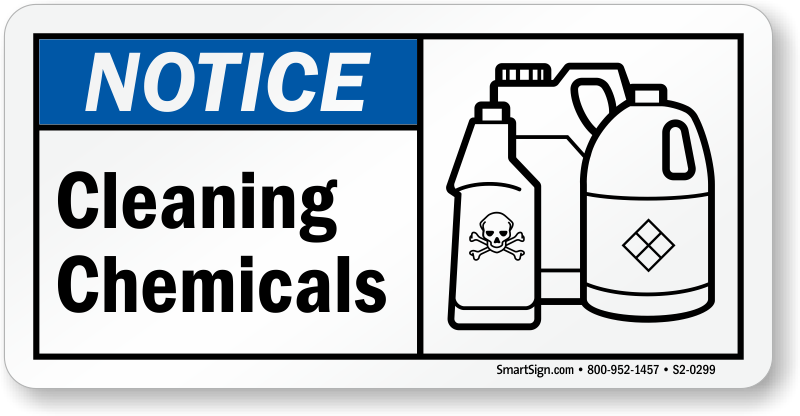 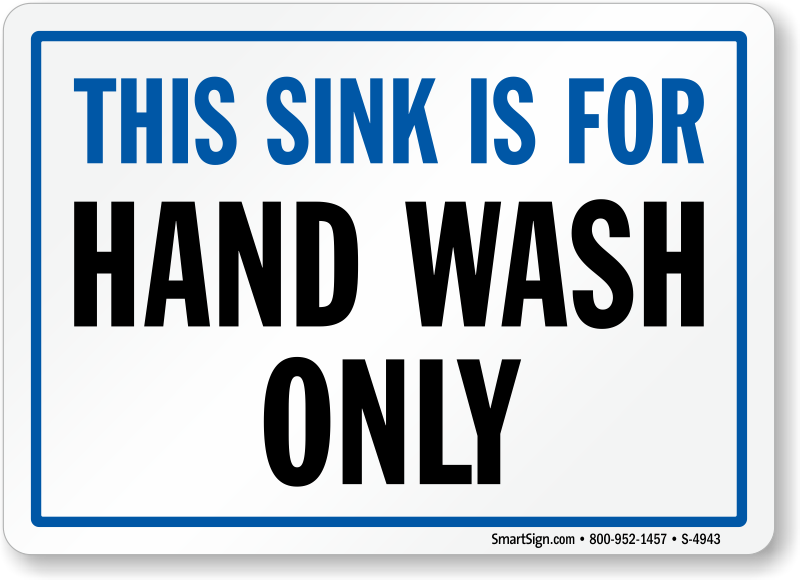 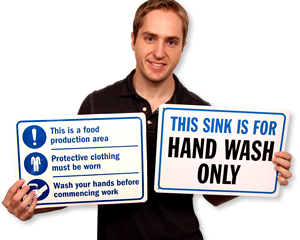 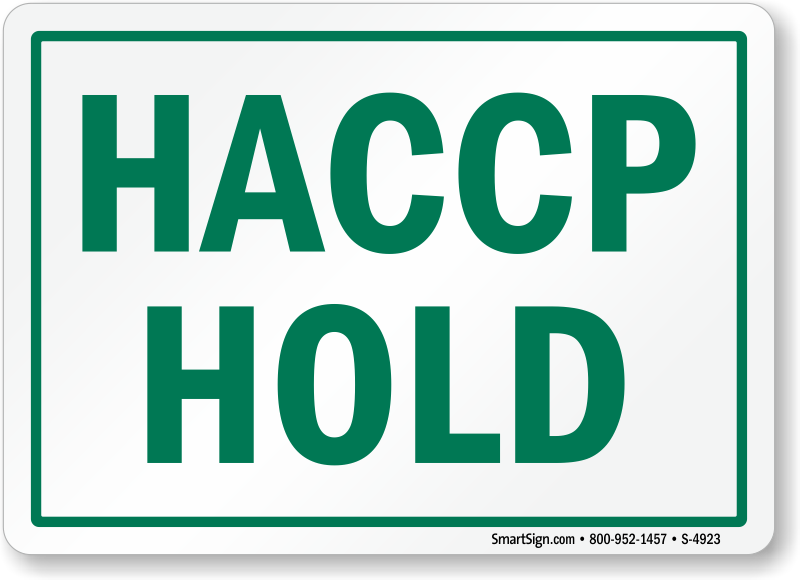 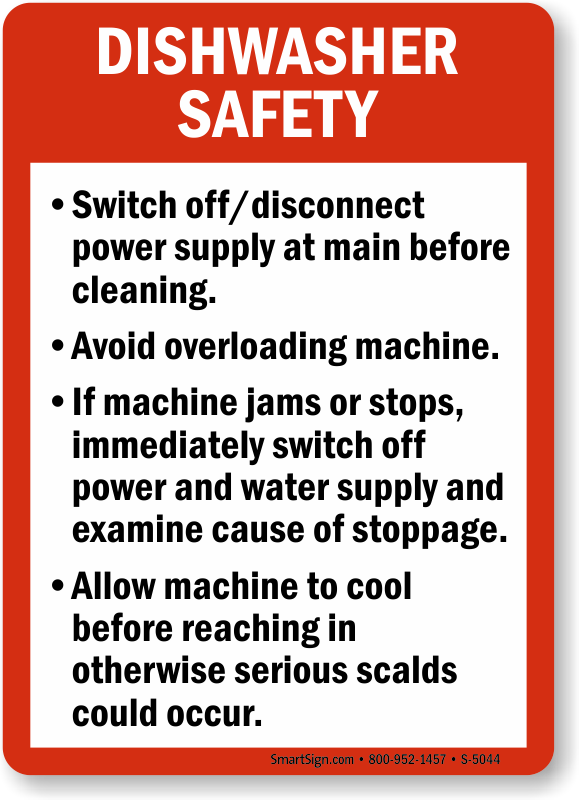 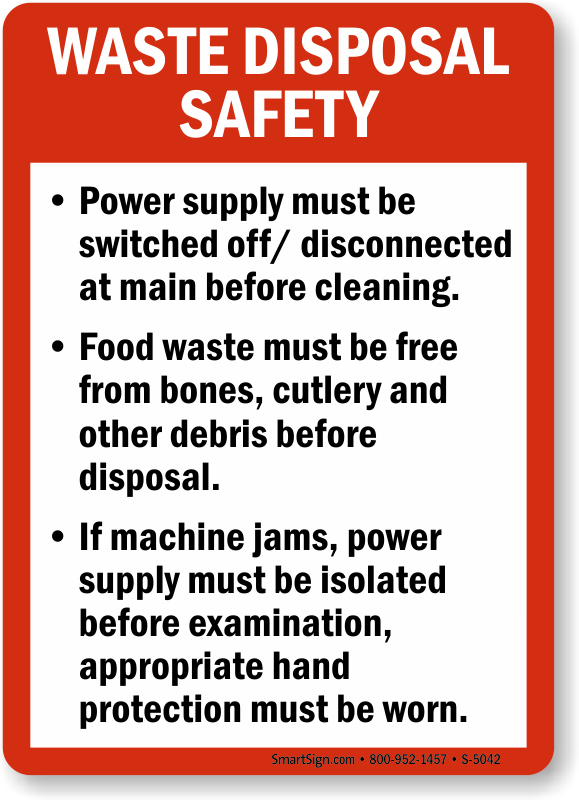 • Find a large selection of wash hands, clean up, hair net, and food preparation safety signs. 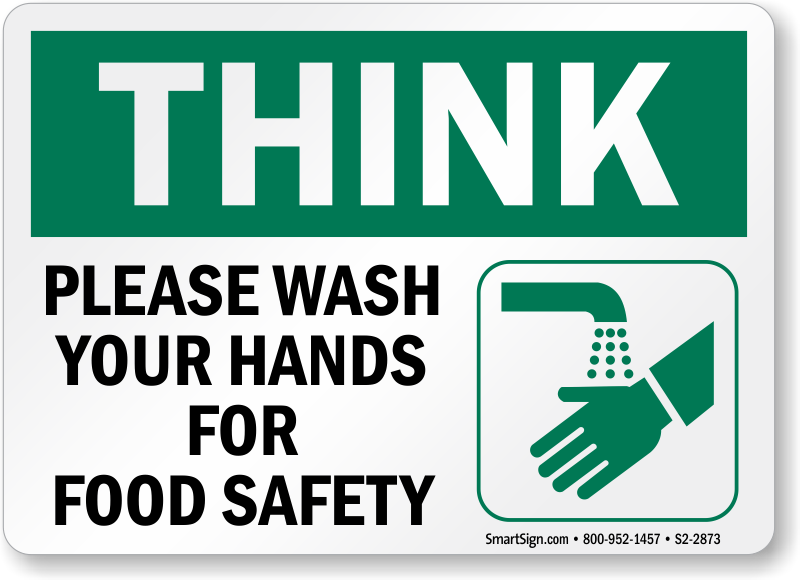 • Mark specific areas for food storage, meat or vegetable preparation, and make sure everyone washes their hands. 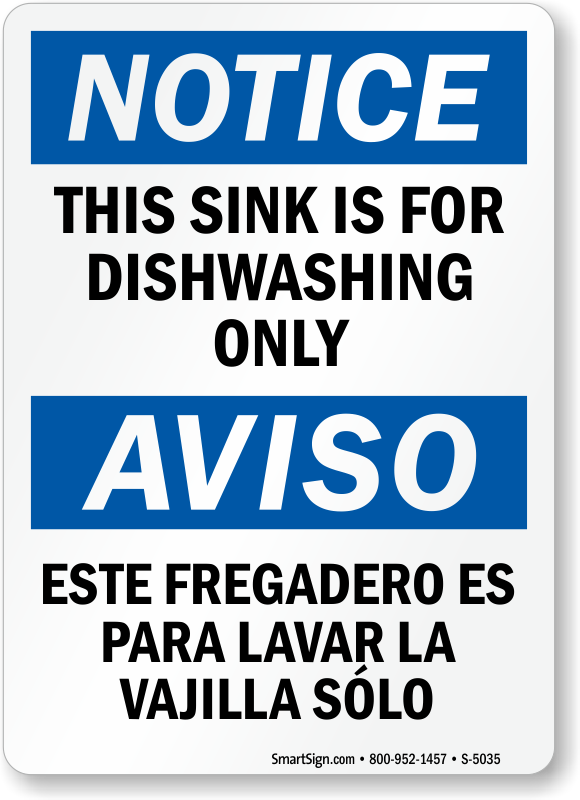 Available in a variety of messages, with English or Spanish text. 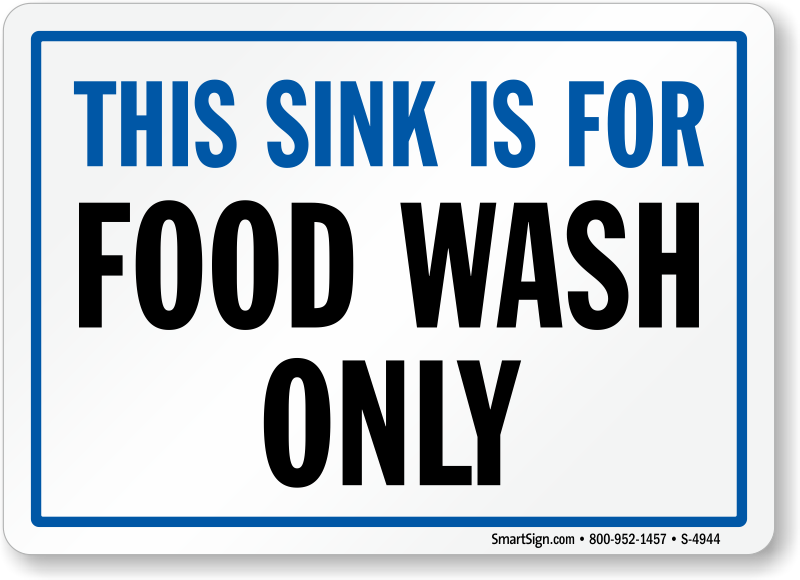 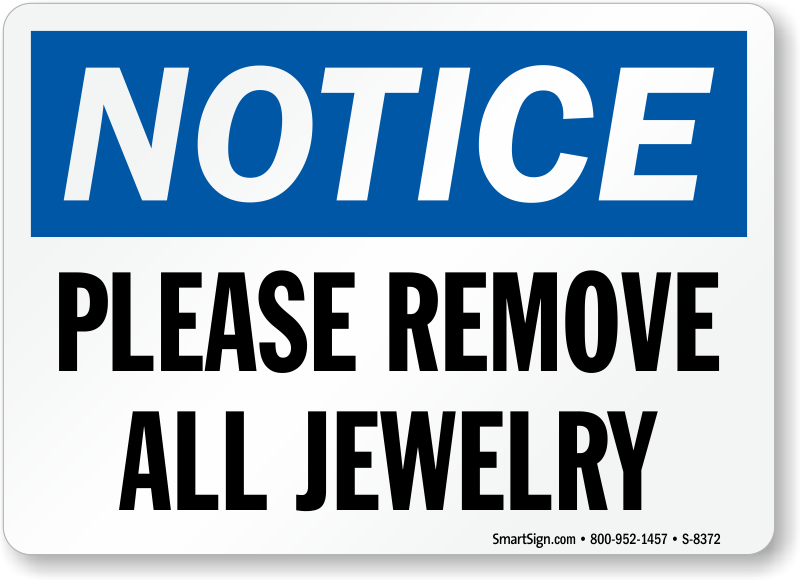 • In group meal areas, offer a polite reminder for everyone to clean up after themselves. 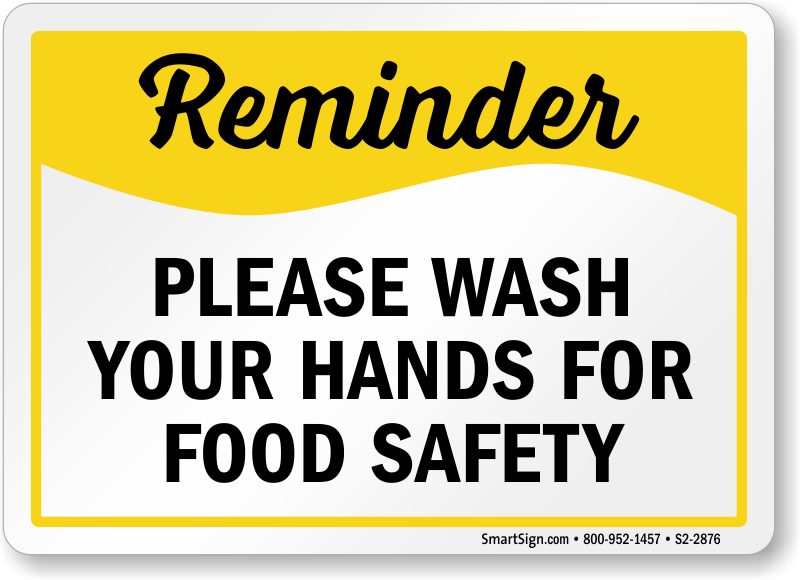 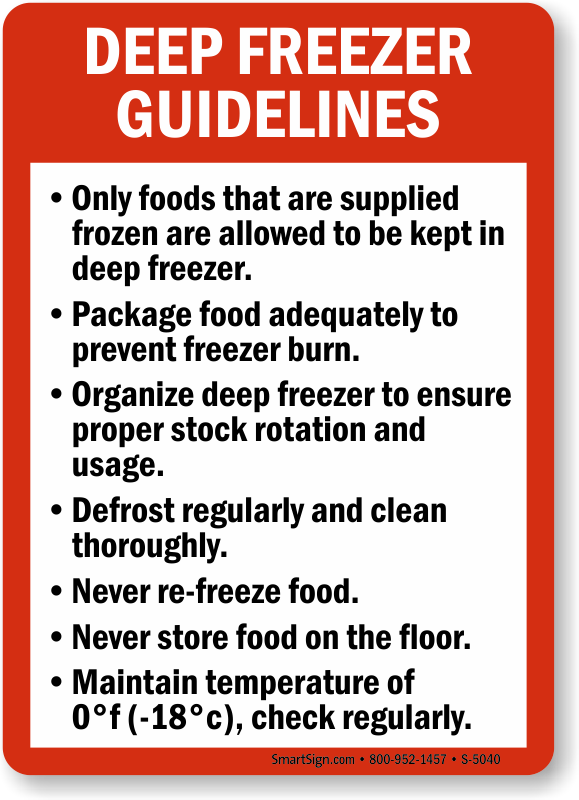 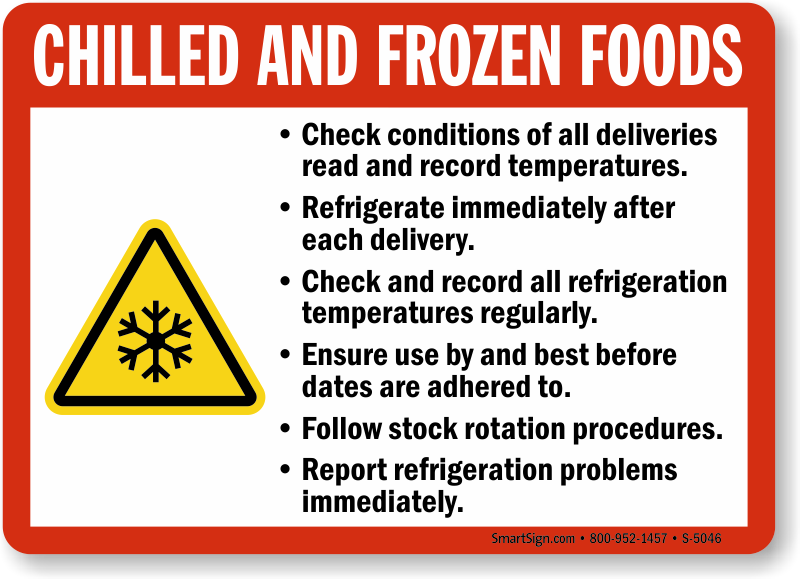 • Customize a message about food safety to cater to your particular kitchen or workplace. 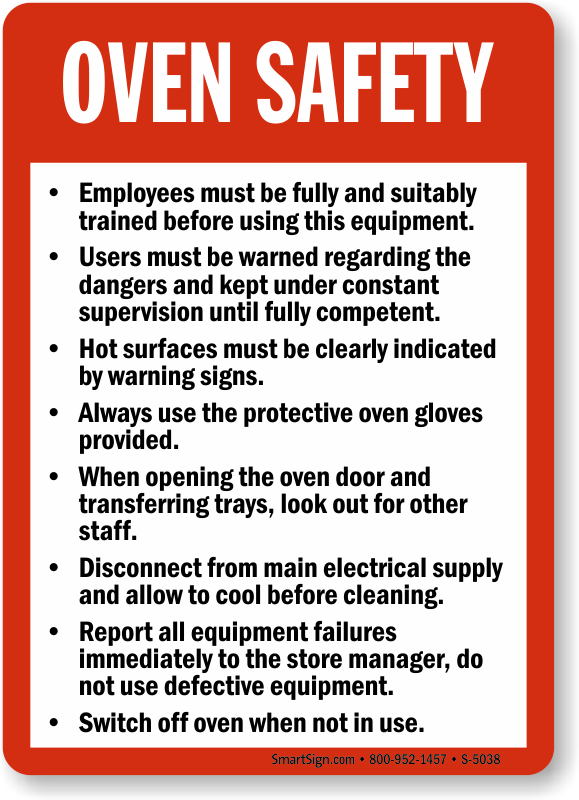 Well made and easy to read. 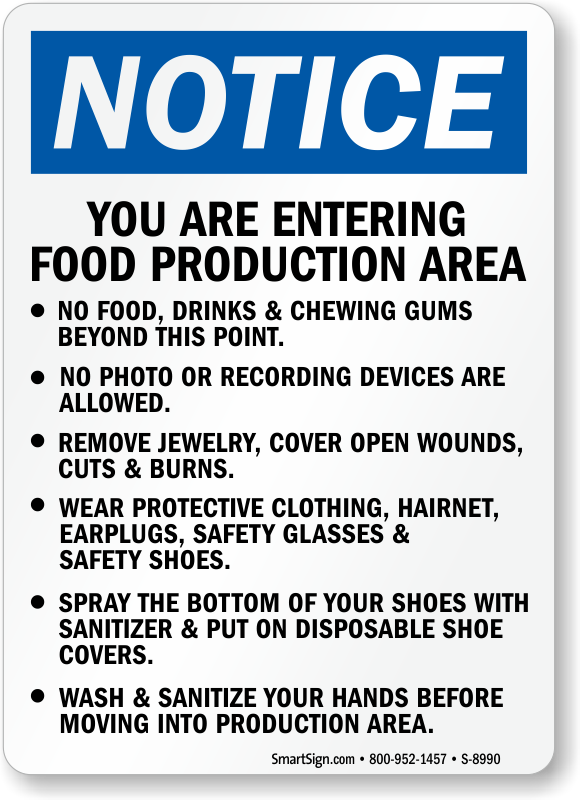 Went up quick with double sided tape. 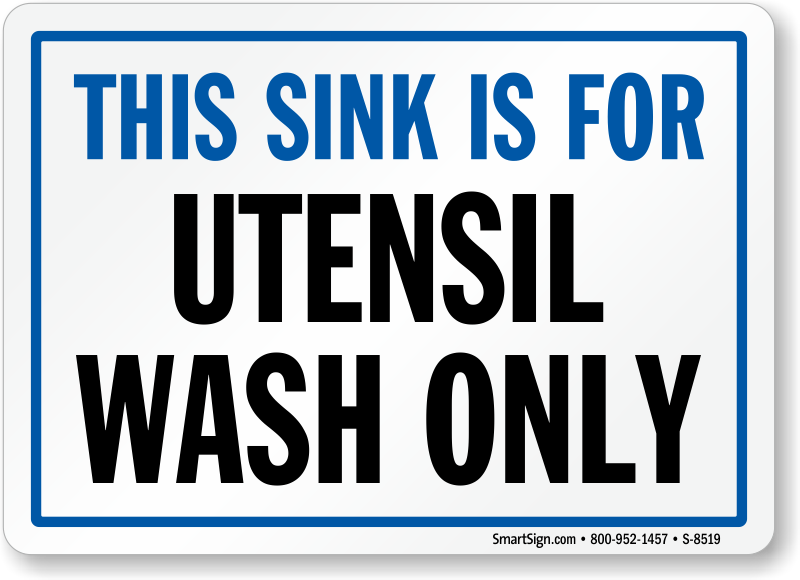 I expect the plastic it is made of to stand up to years of use in our wet environment.